Save 1% on the PlayGro 0101140 Dingly Dangly Clip Clop Baby Toy by Playgro at Baby Stroller Car Seat Combo. MPN: 0101140107. Hurry! Limited time offer. Offer valid only while supplies last. Toy Box Dingly Dangly will provide hours of entertainment with its vibrant colors and patterns which nourish your baby’s visual perception skills. Toy Box Dingly Dangly will provide hours of entertainment with its vibrant colors and patterns which nourish your baby’s visual perception skills. 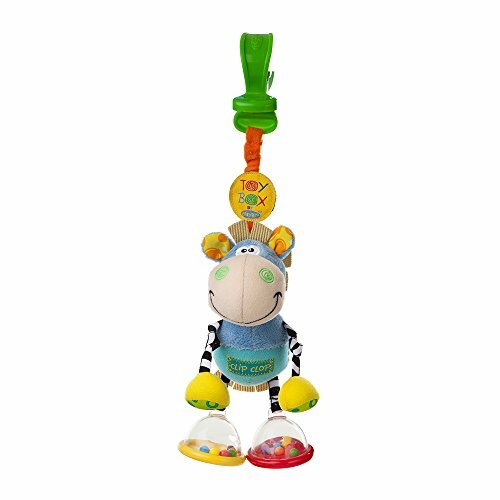 Soft and safe, this long-time favorite has been updated with a new squeaker and rattle feet to stimulate your baby's motor skills. Clip easily attaches to prams, strollers or car seats! If you have any questions about this product by Playgro, contact us by completing and submitting the form below. If you are looking for a specif part number, please include it with your message.